3 Haunts! 3 Escape Rooms! 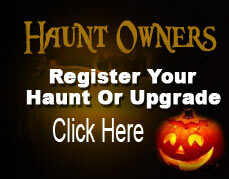 ITS HAUNT INSANITY! The Hydro is celebrating 17+ years of haunted event activities. We are the longest running event in Northwest Ohio. The Haunted Hydro is built in a 1911 Hydro Electric power plant... said to be really haunted.... onsite we have concessions, tarot reader, Halloween vendors, photo-op and a free fun patron interactive game show: The Wheel of Misfortune". We recommend ages 9 and above… but you know your KIDS… we allow them in younger than 9… BUT… there are no KIDS discounts and if they refuse to go in there are NO REFUNDS!